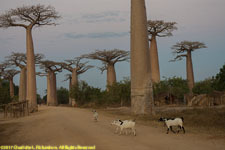 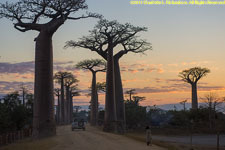 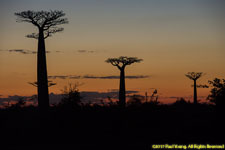 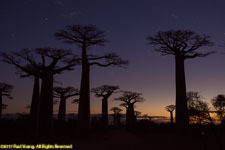 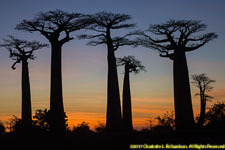 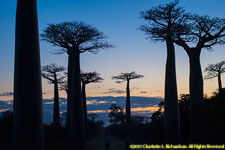 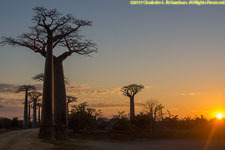 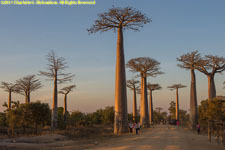 The Avenue of Baobabs is what remains of the original dense tropical forest. 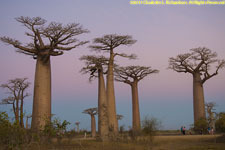 It is a National Monument. 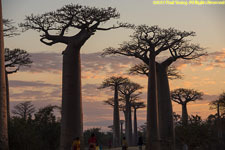 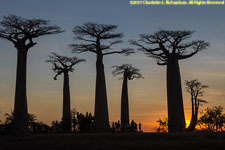 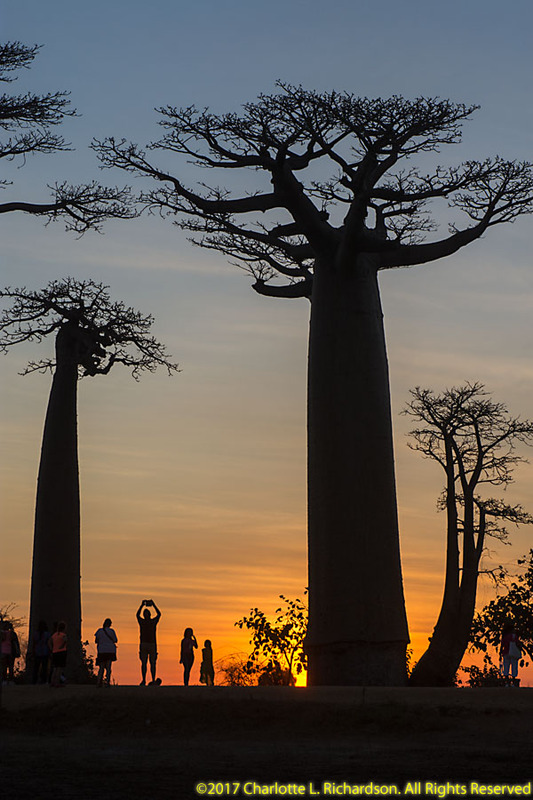 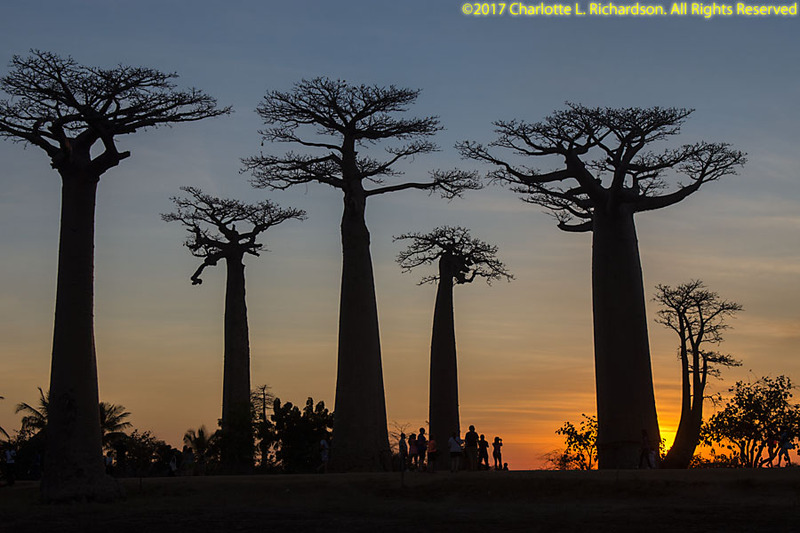 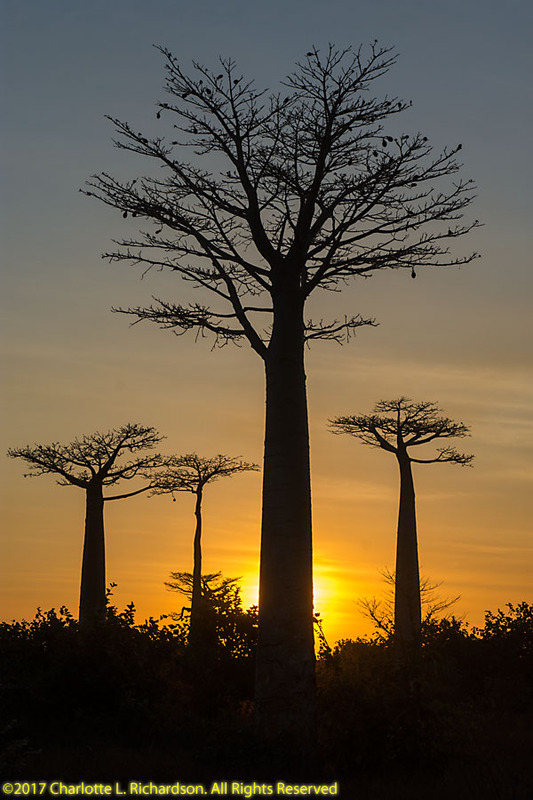 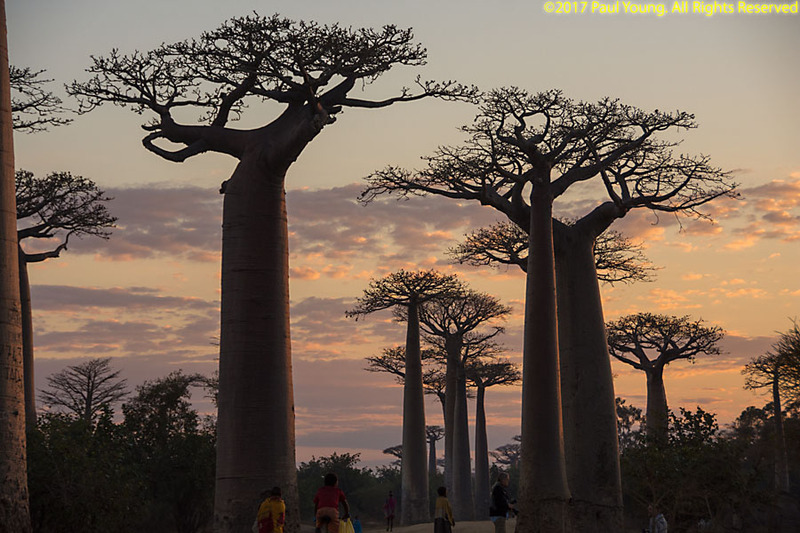 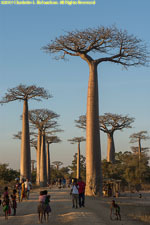 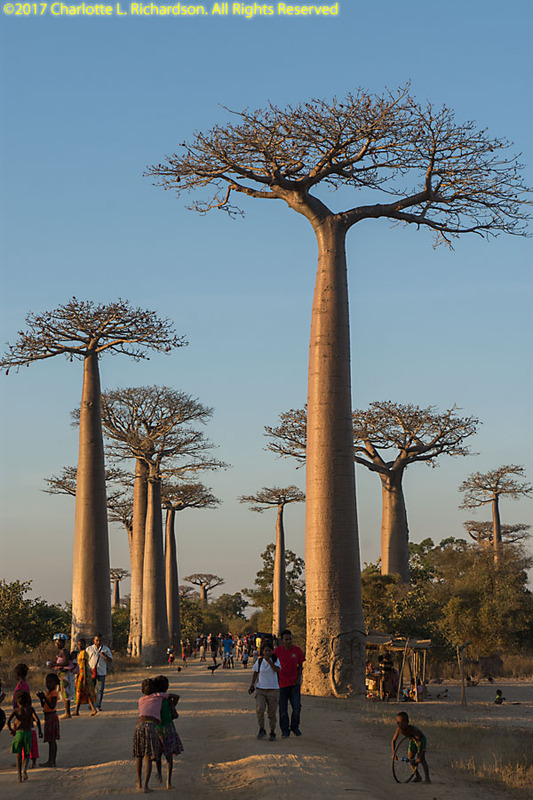 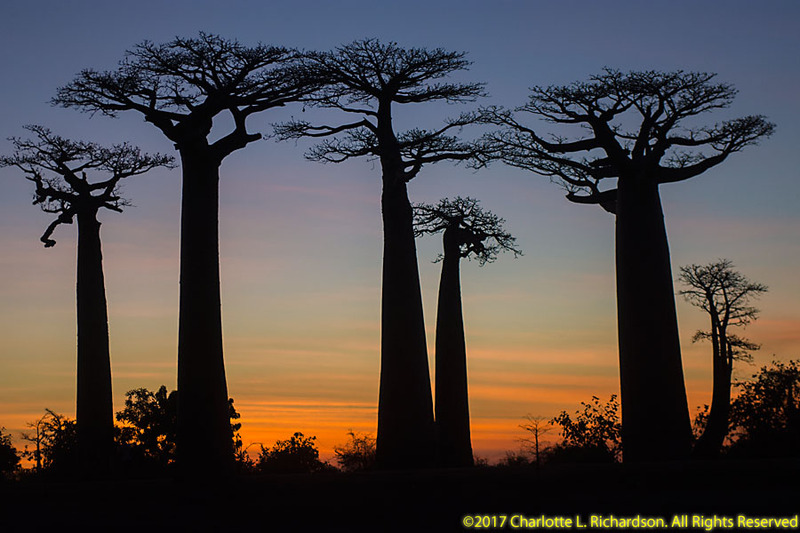 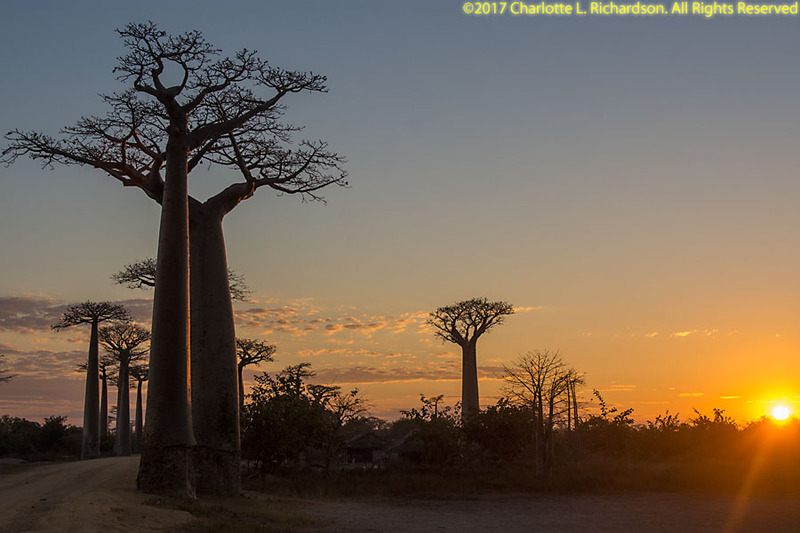 These are the largest of Madagascar's six endemic baobab species, Grandidier's baobab, Adansonia grandidieri, an endangered species.The local people preserved the baobab trees for religious reasons. 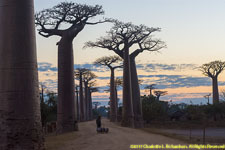 Deforestation continues in the area to make way for sugar cane plantations. 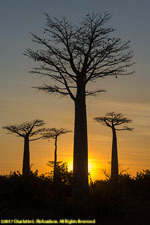 This is a good place for sunrise photography. 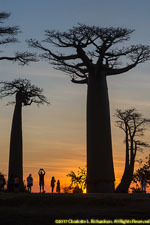 Sunset is also pretty, but with far more people around.